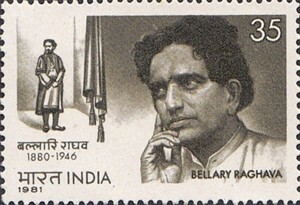 Bellary Raghava was a gifted actor whose face and voice were well suited to the stage. He was a versatile performer and was involved in English, Kannada, Telugu and Hindi theatre. 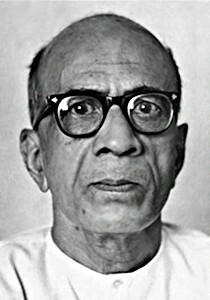 Adya Rangacharya, a novelist, scholar, actor, dramatist, director and a renowned scholar contributed his entire life to Kannada theatre, becoming a cultural icon of his times. 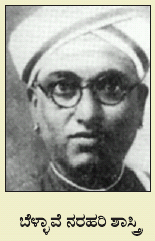 A. V. Varadachar, a contemporary of Bellave Narahari Sastri, was one of the foremost playwrights in the gestation period of Kannada literature.